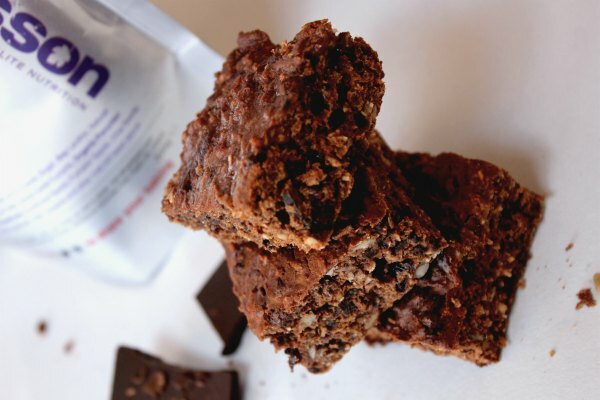 Bake-at-Home bars! 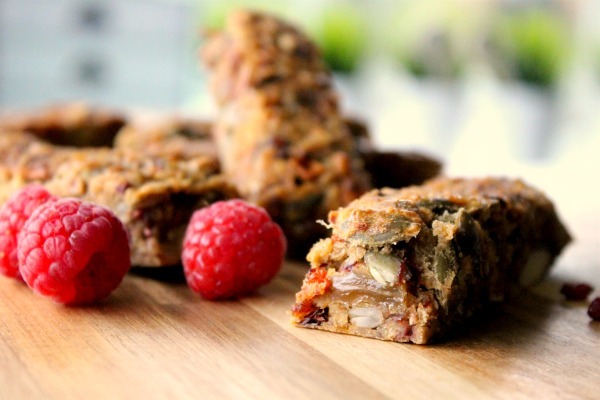 Easy to make healthy and delicious bars! So you want a bar. But one without all the nasties. 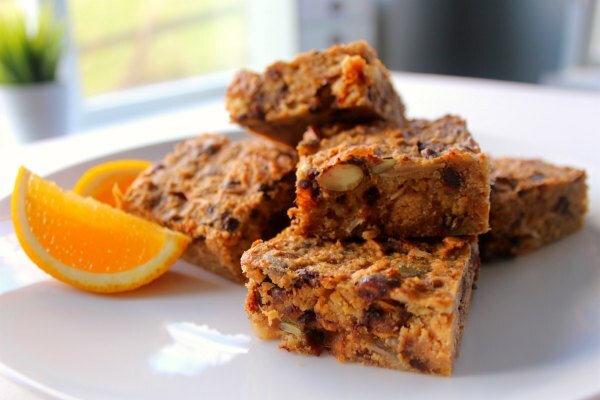 And so here it is… a bake-at-home bar mix that makes wholesome bars that are easy to make and taste delicious. They taste great, because we use really great ingredients like Organic Persian Mulberries, Organic African Mango, Coconut, Goji Berries and Dark Belgian Chocolate. Stonkingly good with a cup of tea for an elevenses or mid-afternoon snack. And since we have 6 varieties, you’ve plenty to choose from. Take them with you wherever you’re going. Each pack makes up 500g of bars – freeze half of them if you like. 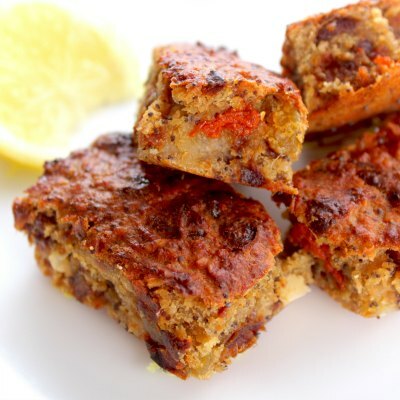 Certified Gluten Free Oats, Dates, Sun Dried Banana, Green Raisins, Californian Almonds (Nuts), Organic African Mango, Pumpkin Seeds, Hazelnuts, Cashew Nuts, Goji Berries, Sunflower Seeds, Raspberries, Chia Seeds, Cinnamon, Ginger, Rice flour. 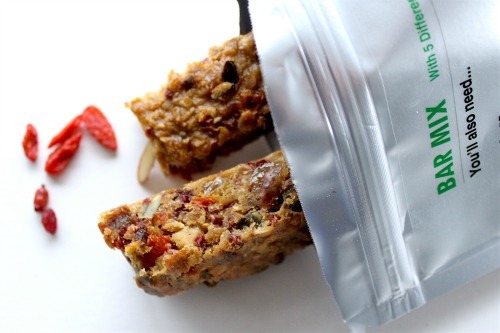 Certified Gluten free Oats, Dates, Green Raisins, Organic Persian Mulberries, Californian Almonds (Nuts), Pumpkin Seeds, Barberries, Apple, Sunflower Seeds, Raspberries, Hazelnuts, Goji Berries, Cashew Nuts, Chia Seeds, Ginger, Rice Flour. Phoenix Dates, Dark Belgian Chocolate (51% Cocoa, Sugar, Soy Lecithin, Natural Vanilla)(20%), Coconut, Certified Gluten Free Oats, Greek Zante Currants, Fat-Reduced Cocoa (7%), Sun-Dried Banana, Argentinian Peanuts, Hazelnuts, Sunflower Seeds, Pumpkin Seeds, Chia Seeds. Allergens: In bold above. May contain traces of dairy, sesame and other nuts not listed above. Certified Gluten Free Oats, Dark Belgian Chocolate (51% Cocoa, Sugar, Soy Lecithin, Natural Vanilla), Phoenix Dates, Sun Dried Banana, Californian Almonds (Nuts), Coconut, Orange, Pumpkin Seeds, Hazelnuts, Sunflower Seeds, Cashew Nuts, Chia Seeds. Allergens: See highlighted ingredients above. May contain traces of peanut, milk, sesame & other nuts not listed above. Certified Gluten Free Oats, Phoenix Dates, Organic African Mango, Green Raisins, Sun Dried Banana, Poppy Seeds (4%), Coconut Chips, Pumpkin Seeds, Lemon (2.2%), Sun Dried Goji Berries, Sunflower Seeds, Chia Seeds. Allergens: See highlighted ingredients above. May contain traces of peanut, sesame, soya, & nuts. Certified Gluten Free Oats, Currants, Organic African Mango, Dark Belgian Chocolate (51% Cocoa, Sugar, Soy Lecithin, Natural Vanilla), Dates, Californian Almonds (Nuts), Ground Columbian Coffee, Soluble coffee from Robusta beans, Raspberries, Cinnamon, Ginger, Rice flour. For Vegan Bars: Leave out the egg. Still works. Or use 1 spoon of coconut oil. Storage: Store baked bars in an airtight container in fridge & consume within 3 days, ideally. Or just freeze half of them to have some other time. Note: Silicone bakeware that does not require grease or oil. Suitable for traditional ovens up to 230c. Dishwasher, microwave and freezer safe.